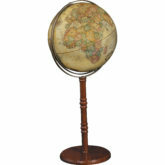 16″ Austin floor standing globe by Replogle. The Austin’s blue ocean globe ball stands out against a rich, dark hardwood stand. 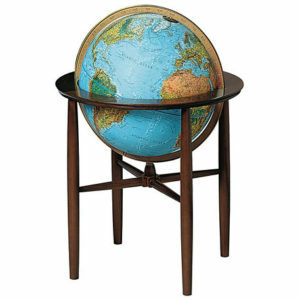 The 16″ globe, crisp cartography and solid hardwood stand contribute to the exceptional form and function of the globe. 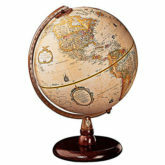 Additional features include an illuminated touch globe ball and full diecast meridian. 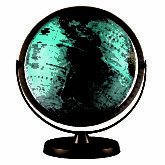 The globe stands 30″” high. 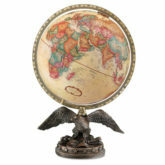 This globe is also available in Antique Tones!